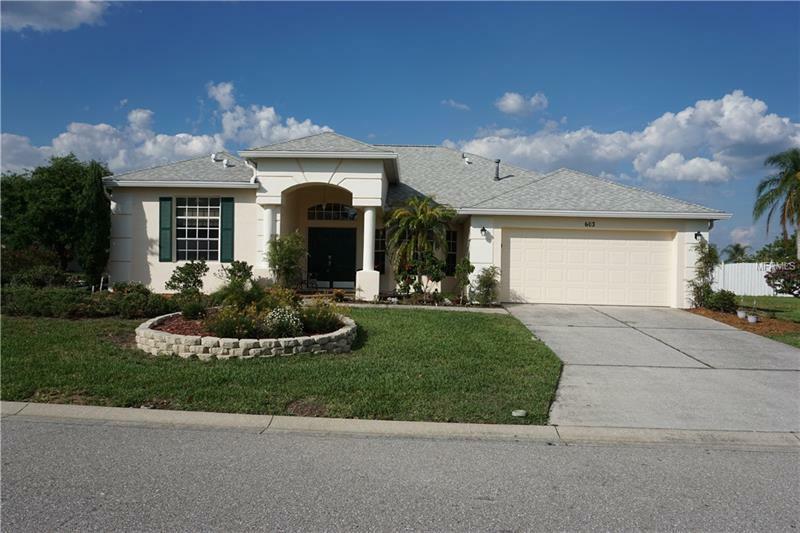 Stunning pool home in the desirable community of Loma Del Sol. No short term rentals are allowed in this community which helps create a friendly family atmosphere. 4 bedrooms 3 bathrooms and 2400 sq ft of living space with split plan bedroom arrangement also creates the perfect space to bring up your family. The sellers have thoughtfully maintained the home with a new roof 5 years ago new HVAC 3 years ago new water heater 5 years ago and the exterior has just been painted this year. Aside from this both secondary bathrooms have recently been remodeled with granite counter tops and nice designer touches and a high end shower unit and frame less glass enclosure in the second bathroom. The heated pool has been resurfaced and also has a raised spa to sit and relax at the end of the day. Easy access to the road network schools theme parks restaurants and shopping make this a great place to live.